As the laid-back days under the midnight sun glide by, it’s almost a job to keep up with the slew of summer weekend events. This month the Midnight Sun Fly-In Association held (take a wild guess) its Midnight Sun Fly-In event. It’s a bi-annual gathering of and a tribute to the bush pilots of the North. Starting from the Thursday before the event weekend, current and former Northern aviators flew in to town, keeping the airport and the float plane dock busy. There was something on offer for everyone: entertainment in the form of a Burlesque show, fishing trips, sight-seeing flights, a fly-out picnic, model airplanes on display, a scavenger hunt by air, pilots telling stories of rescue and other aviation adventures, and, of course, lots to eat, including a bush pilot pancake breakfast. 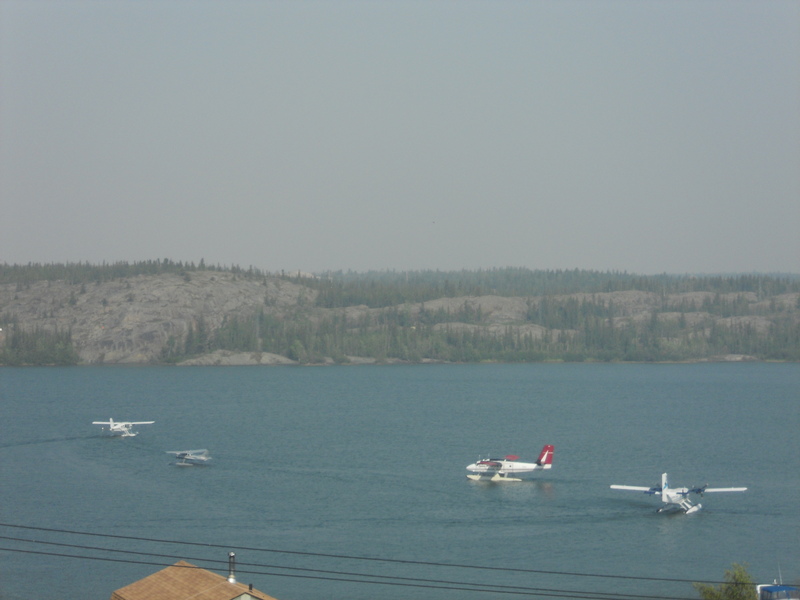 On the Sunday morning there was a float plane fly-past, to honour the intrepid bush pilots who have passed on. Due to the numerous wildfires that we’ve been experiencing again this summer, the skies were smoky and visibility was not the best. Despite that, a good number of spectators walked up the hill in Old Town to the Pilots Monument for the event. That is to say that the adults walked and the children ran eagerly up, then they occupied themselves by scampering among the rocks at the top. 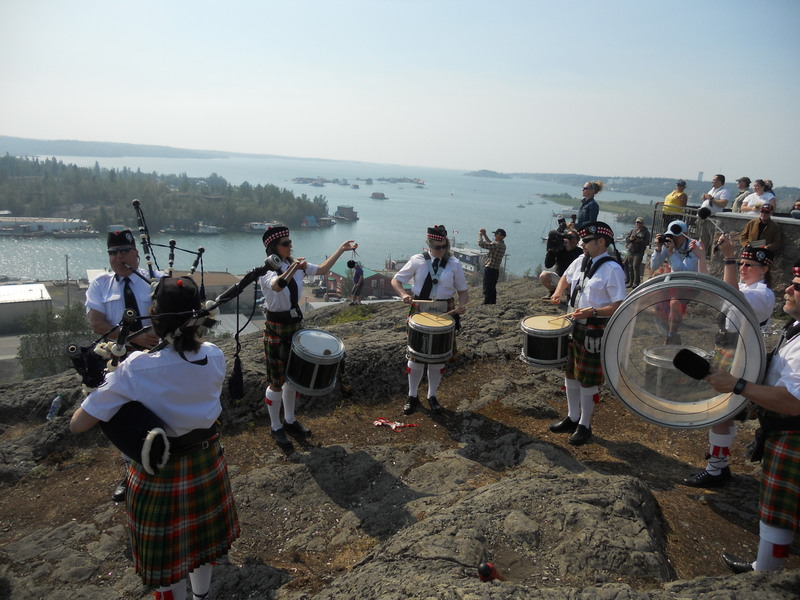 The NWT Pipe Band also made the trek up, dressed in full regalia. Things took a while to get underway, so they played a couple of tunes to keep us happy while we waited. Eventually, engines turned over, propellers began to spin and float planes began motoring through the water down in Back Bay. Slowly but surely, about a dozen of them formed a semblance of a taxiing queue and took off, one by one, into the smoky sky. They banked and passed on one side of the hill where we were standing, and disappeared into the smoky expanse above the lake. Soon enough, we could see them in the distance, heading back. This time they flew past on the other side of the hill, while an announcer mentioned the name of each pilot and the type of aircraft, then they splashed to a landing in Back Bay. Excitement over. 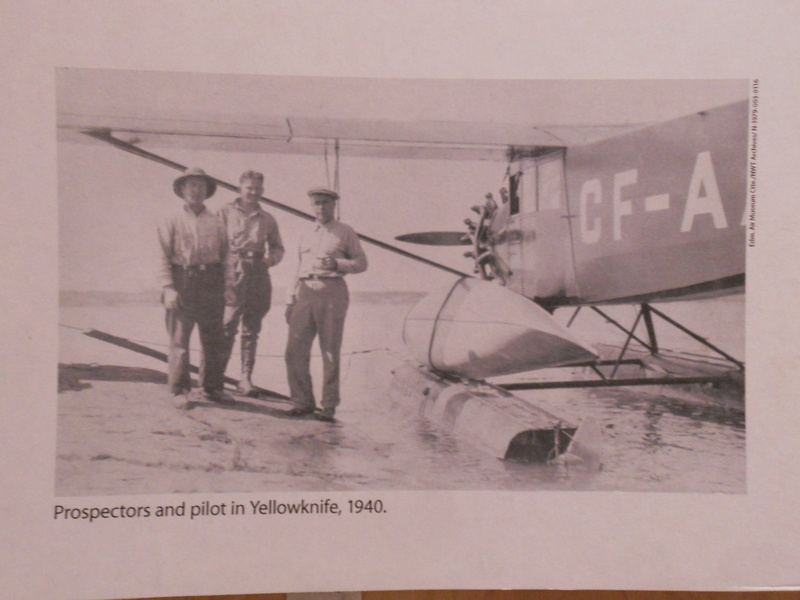 Without the bush pilots of the early 20th century, there would probably not have been a city of Yellowknife, a large-scale Northern mining industry, nor would the North have become as accessible as it is today. These days they still fly people and cargo to and from the bush, whether it be geologists on an exploration trip, or hunters to bush-camps or cabins, or taking supplies for crews battling wild fires. The history of flight in the Northwest Territories is eventful and it’s chronicled quite well at the museum, where there’s a room dedicated to Northern transportation. The first flights over the Northwest Territories took place in 1921, and at that time the territory was a much larger land mass, as it hadn’t yet been carved up. Those early flights were funded by Imperial Oil, after oil was discovered on Great Bear Island on the Mackenzie River, downstream of Tulita, which was then called Fort Norman. It took a while for others to venture north in large numbers. The Royal Canadian Air Force made its first northern exploration with the Henderson Strait Expedition in 1927, flying north from Winnipeg to the eastern Arctic. The pilots flew without maps and they wouldn’t have lived to tell the tale had it not been for the help of the Inuit families who accompanied them. Repairing the planes was dicey under the circumstances, so the occasional crash did occur. That was when the Inuit knowledge of the terrain and of how to survive in the inhospitable climate came in more than handy; it saved lives. As geologists, surveyors and prospectors began to head north during the summers – on foot and by boat – small-scale mining operations commenced. That was when it became commercially viable to offer aircraft flights to the mining industry. 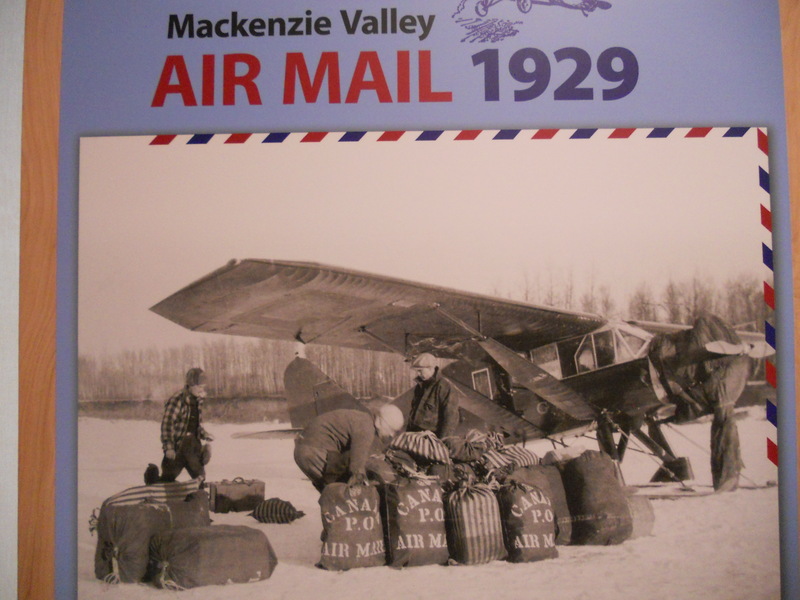 Airmail service reached the North in 1929. 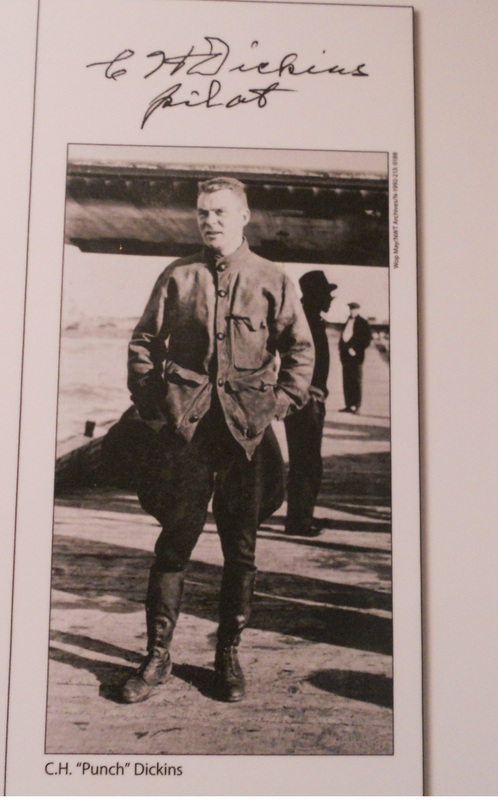 In January of that year, a young pilot called Clennell Haggerston “Punch” Dickins made the first experimental mail run, from Fort McMurray, Alberta, to Fort Simpson, NWT. He hauled the mail for most of that year. Prior to that, mail had been transported by horse-drawn sleigh and dog-sled. 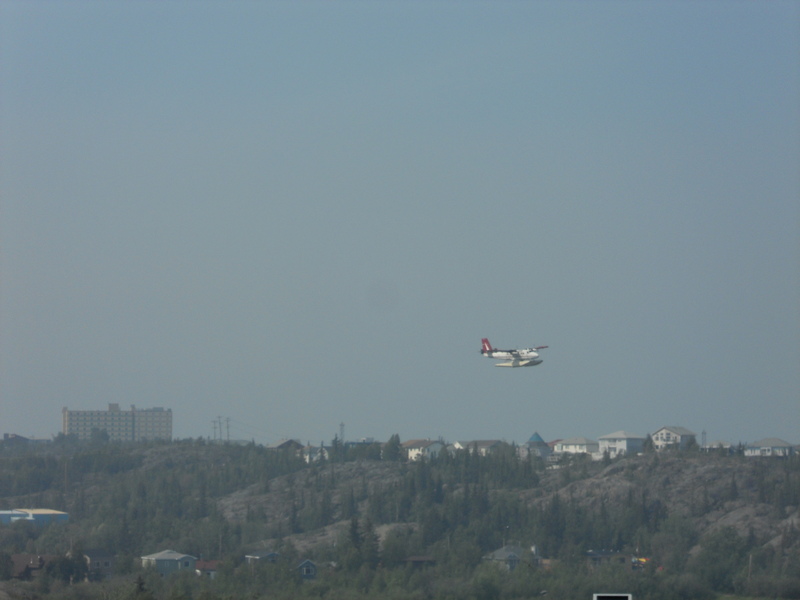 The 600-mile trip between Fort McMurray and Fort Smith took 24 days over land. (In this day and age, we have no clue what snail mail really is.) Northern bush pilots had to be able to fly under difficult conditions, in terms of both weather and terrain, as there was no airport at their destination, no runway for landing the plane. 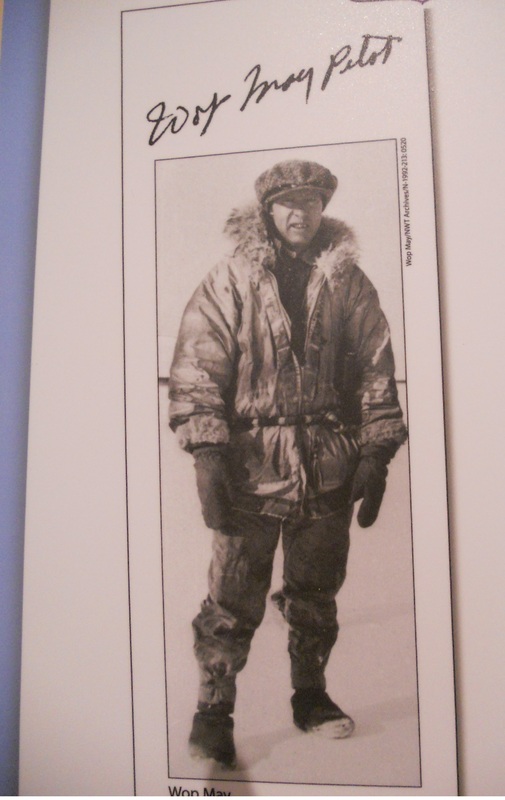 Another bush pilot called Wilfred R. “Wop” May won the contract for hauling Northern airmail starting in December 1929, and by the end of the year he was flying the mail as far north as Aklavik, near the Mackenzie Delta. Wop May was probably better known for his more exciting role in helping the RCMP to track down the fugutive Mad Trapper of Rat River, a.k.a. Albert Johnson, in February of 1932. The Mad Trapper had escaped multiple RCMP attempts to subdue or capture him. He had wounded an RCMP officer in one shootout, and he had singlehandedly escaped another shootout and standoff with 9 RCMP officers that lasted well into a wintry night. After that incident, an large posse set out on a manhunt for him, but they were having a hard time finding him. They enlisted the help of Wop May, who tracked his footprints in the snow from the air, and shortly after that the RCMP got their man, who went down in a final firefight. Returning to carrying mail must have been rather ho-hum after an adventure like that. Nowadays, we don’t give any thought to what it takes for the mail to be delivered to us, if we still get snail mail at all. We hop on our choice of flights to travel to the larger centres in the NWT, and we expect to be able to access most of the smaller communities on a scheduled flight. The float-plane fly-in weekend reminds us that we have the bush pilots to thank for that. Copyright © Kathryn Birchwood and FrozenTrini 2015. The use and/or duplication of this material without the express and written permission of this blog’s author and/or owner are unauthorised and strictly prohibited. Excerpts and links may be used, provided that full and clear credit is given to Kathryn Birchwood and FrozenTrini, with appropriate and specific direction to the original content.